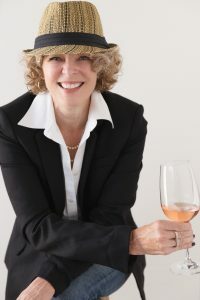 Terri Henry has thoroughly enjoyed 20+ years in the restaurant and food industry marketing arena, most recently as Vice President of Marketing for Grill Concepts, owners and operators of the nationally esteemed fine-dining The Grill on the Alley brand, Daily Grill, one of the leaders in the casual dining segment, and Public School gastropubs. She held this position for 12 years, and is very proud to now call all three brands terri henry marketing clients! She has had vast experience with local restaurant marketing working for Chipotle during their introduction to the California market and the entire Pacific region, and was hired as Director of Marketing for Big City Bagels, a start-up company in the mid-1990s. Terri began her career in the food industry as a general manager and certified facilitator with Starbucks Coffee, so she also understands the operational challenges faced by restaurant owners. Terri is regularly asked to comment on current culinary trends in restaurant and food trade magazines including Restaurant Management Magazine, Full Service Restaurant Magazine and Food Fanatics. Terri is the founder of Dine LBC – Long Beach Restaurant Week. The sixth annual event is scheduled for August 3 – 11, 2019, and works with local chefs throughout the year organizing pop-up dining events in unique, unexpected spaces. terri henry marketing is proud to organize the annual CANstruction Long Beach event that benefits Food Finders in an effort to help alleviate food insecurity in Long Beach and surrounding communities. Terri currently sits on the 2017-19 Board of Directors for the CSULB School of Hospitality Management and the 2019 Board of Directors for The Art Theatre. She has been a member of Les Dames d’Escoffier LA/OC Chapter since 2012 and served on the 2016-17 Board of Directors, served on the 2016-17 Board of Directors for Farm Lot 59, a local non-profit 501(c)(3) urban farm that supplies organic produce to local restaurants. She was a member of the annual UCLA Extension California Restaurant Industry Conference advisory board 2008-2012. A Southern California native with a bachelor’s degree in fine arts (drawing and painting) from California State University Fullerton, she currently uses her creative skills combined with her love of food and cooking to create unique restaurant marketing and publicity initiatives.